Your wedding is one of the most exciting days of your life — and it can also be one of the most expensive. It's no wonder, then, that as weddings get more costly and elaborate, getting wedding insurance has become a more common pre-nuptial to-do. Only you know what kind of policy you'll need — and your venue, caterer and wedding planner can help you out with this. So what is wedding insurance, and do you need it? Here's what it covers, what it doesn't and why it may be worthwhile. With any big event, all sorts of things can go wrong. Wedding insurance is designed to protect you (and your money) if something unexpected happens. 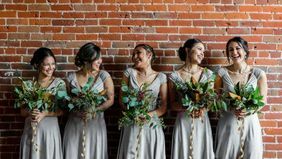 “While 'fool-proofing' your wedding is an important step of the planning process, there are some situations you can’t prepare for that can cost a pretty penny," says Northern California-based certified wedding planner Kevin Dennis. 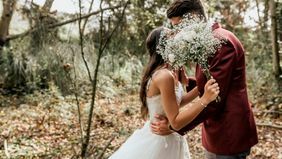 Whether it’s a dress malfunction, a conflict with one of your vendors or damage to property or gifts, wedding insurance can safeguard against surprise costs in the event of a worst-case scenario. In some cases, your venue or your wedding planner — or both! — may require you to purchase a policy in order to work together. Yes, yet another cost may be frustrating, but it could be worthwhile. "Liability coverage is especially important in the case of alcohol-related incidents, which occur more often that you might think,” Dennis says. When it comes to coverage, every policy has its own terms. (You can check out options on WedSafe and Wedsure for more specifics.) But most cover some basic and common misfortunes. "If your venue goes out of business or if you have a death in the family and need to postpone the wedding, you’ll potentially be covered," Dennis says. Wedding insurance can also protect you if one of your guests gets sick or injured during the festivities. 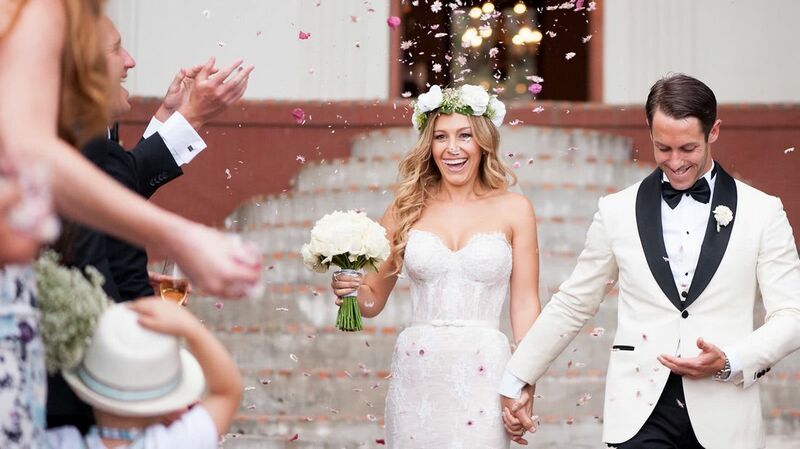 "You could be held liable if a guest at your wedding trips and falls, causing injury to himself," says Dallas-based wedding planner Liz Ise. Some policies may even cover costs if guests cause damage to the venue. "Wedding insurance is designed to protect you (and your money) if something unexpected happens." If you're hosting a wedding on your property, like a family residence, you may want to consider separate coverage to safeguard yourself against a guest injury — even if you have property or general insurance. 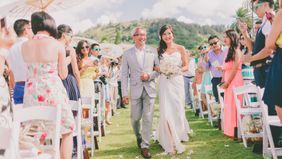 "These policies could have holes that would not cover situations often found at weddings — like vendors, vendors' equipment, large amounts of alcohol being consumed and personal injury to guests," Ise says. Review your existing policy to determine where you might need additional coverage. Of course, wedding insurance doesn't cover everything. "If someone has a change of heart and backs out of the wedding, you will still be held liable for all the contracts and agreements you have signed," Ise says. If you're planning a destination wedding, Ise suggests looking into travel insurance as well. "You never know what weather-related issue or emergency may pop up," she says. "These policies could help you cover expenses or get you out of contracts should you have to change anything about your wedding plan." Finally, after considering your own insurance for the wedding, it's a good idea to ask potential vendors if they are covered, too. Many vendors will have a policy that carries liability up to $1 million, Ise says, which is crucial since most cases of liability generally fall on the host site. Additionally, "this will also show you that they are a serious, established business who knows how important your day is," she says.